Personal profile: Ma Jiantang has been hailed as a young and promising "official economist" in China's economics. Like his predecessors Li Deshui, Qiu Xiaohua and Xie Fuzhan, Ma Jiantang, 50, is also a scholar. In the eight years of the State Council Development Research Center, Ma Jiantang “has a mind to engage in learning” has made great achievements in the macro economy and the emerging discipline of the time – the industrial structure. 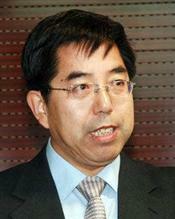 He has written monographs such as "China Industrial Structure Research" and "Cycle Fluctuation and Structural Change". 2017-09-15 Ma Jiantang: There are fewer barriers to entry in the private investment market. "The door is wide and the threshold is low." 2015-04-22 Ma Jiantang will preside over the standing of the National School of Administration. 2015-04-21 Ma Jiantang retired as the director of the Statistics Bureau and served as the executive vice president of the National School of Administration. 2015-03-12 Ma Jiantang: The new growth of the new economy is mainly in the area of ​​e-commerce logistics. 2015-03-12 Ma Jiantang: There are still positive changes in the statistics.